The best team not to gain from promotion from English League One last season is trading at odds of around 10.00 to win this term’s title in spite of spending a large amount of money on recruiting more proven performers at the level. 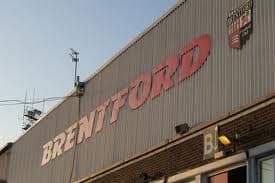 While bookmakers cannot see past Wolverhampton, a side that two years ago was preparing to participate in the English Premier League rather than the English third tier, punters who love a bit of pre-season value should back Brentford at 888Sport. Had Marcello Trotta struck his last-minute penalty against Doncaster a few inches lower, Brentford would have secured automatic promotion behind Bournemouth and not gone on to endure Wembley Stadium agony versus Yeovil. The width of a Griffin Park crossbar is all that stood between the Bees and their first season in England’s second tier for 20 years. No English League One team lost fewer matches last season than Brentford – the Bees experienced defeat on only nine occasions – and Uwe Rosler has splashed the cash over the summer to strengthen what was a strong squad already. Among the better known Brentford recruits are former Swindon defender Alan McCormack and ex-Walsall striker Will Grigg, who has international experience having broken into the Northern Ireland set-up recently. The Saddlers were angry to lose Grigg to the Bees, not least because they think that he should be playing at a higher level than English League One and they were hoping to receive more money in compensation. Three of the last five English League One titles have gone to sides relegated from the English Championship and that is one of the reasons why bookmakers are taking no chances with Wolverhampton, a team that made mistake after mistake after mistake last term and paid the price by dropping into England’s third tier for the first time since 1992. Another reason is that bookmakers – and punters – think that a side of Wolverhampton’s undoubted stature will not suffer the indignity of slumming it with the likes of Carlisle, Crawley and Crewe for more than one season. One could put any 11 players in Wolves colours and they would be backed off the boards to win English League One in a canter. Wolverhampton have several players who are above English League One quality but some of them – Ireland forward Kevin Doyle and last term’s Scottish Football Writers Association Footballer of the Year award recipient Leigh Griffiths are the two that are front of mind – may not be at Molineux at the end of the season. Also, while Wolves have a new manager in Kenny Jackett, whose managerial record is excellent, he has not led a team with their profile before and let’s just say that the side’s supporters have a reputation for being quick to turn. Furthermore, the relationship between the team’s owner, Steve Morgan, and its fans is appalling. Wolverhampton has the potential to run away with English League One this term but Brentford make more appeal as a betting proposition at double the odds of Wolves. While sides looking to bounce back at the first attempt have won three of the last five third-tier crowns, the overall record of relegated teams is not all that flash. Over the last five seasons, only five sides have regained English Championship status immediately and two of them did it via the play-offs after only just making it into the football lottery. So with regards to the top of English League One, Brentford appeal not only at 10.00 to finish first but also at odds of around 4.50 (Betfred) to gain promotion either automatically or via the play-offs. The Bees will be there or thereabouts. Turning one’s attention to the bottom of English League One, four teams will suffer relegation to England’s fourth tier and the pick of the betting market at odds of around 3.40 is Carlisle. The Cumbrians had the leakiest defence in the competition last term, conceding 77 goals in their 46 matches – four more than any of the relegated sides. Greg Abbott has been given only a one-year contract extension so Carlisle’s board is hardly right behind its team’s manager and the Cumbrians have slashed their playing budget as well because home crowds slumped 20 per cent last season. One was interesting in backing Swindon to go from sixth spot last term to 21st or lower this season because the Robins are in a right old mess on the eve of the big kick off. But bookmakers are trying their best to duck bets on Swindon being relegated from English League One, with odds ranging from 4.50 to 7.50. The Robins would have been worth a little punt at double-figure odds but not at what is available.